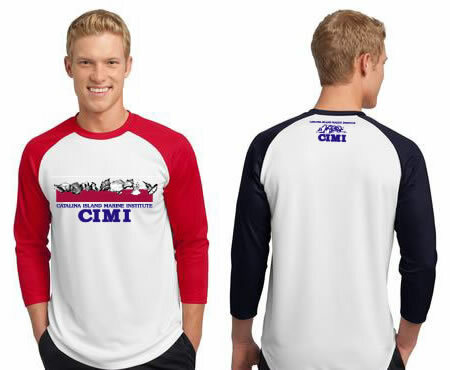 CIMI shell band design on front bottom hem and CIMI on left chest. 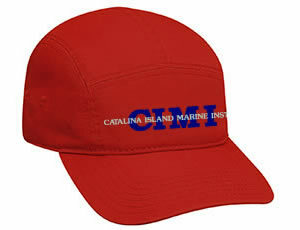 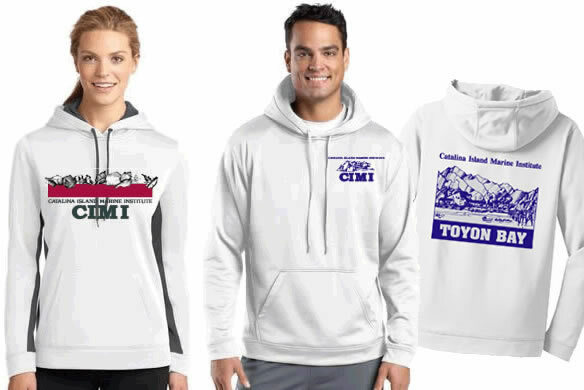 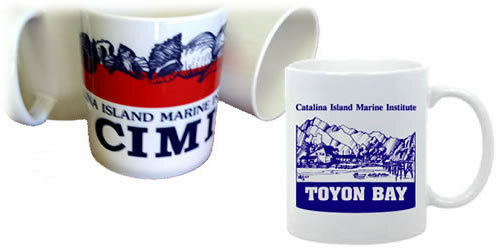 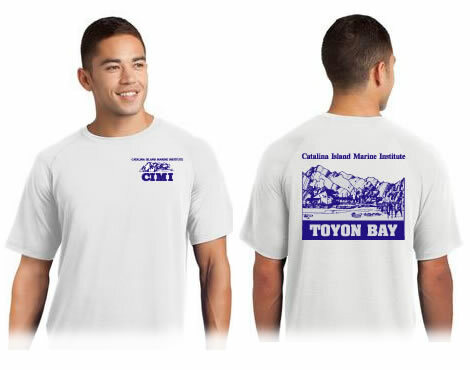 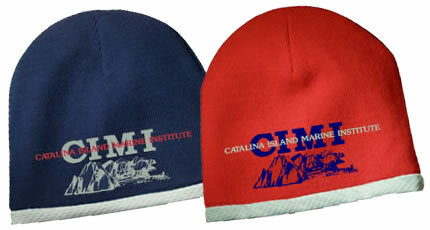 CIMI logo on front and Toyon Bay line drawing on back. 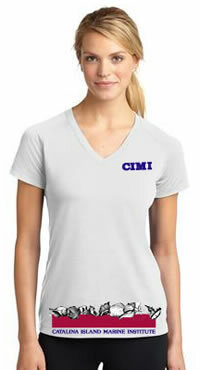 CIMI logo on back of the neck. 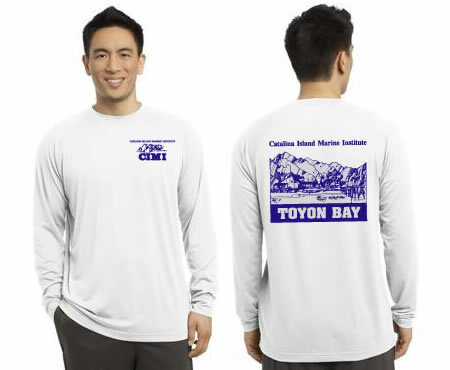 Toyon Bay line drawing on back.